It's been a while since I've done A View from Page Thirty, so I thought I would bring it back. And what better way to bring it back then with a new graphic and using the list of suggestions that you guys gave me during my reading slump post. 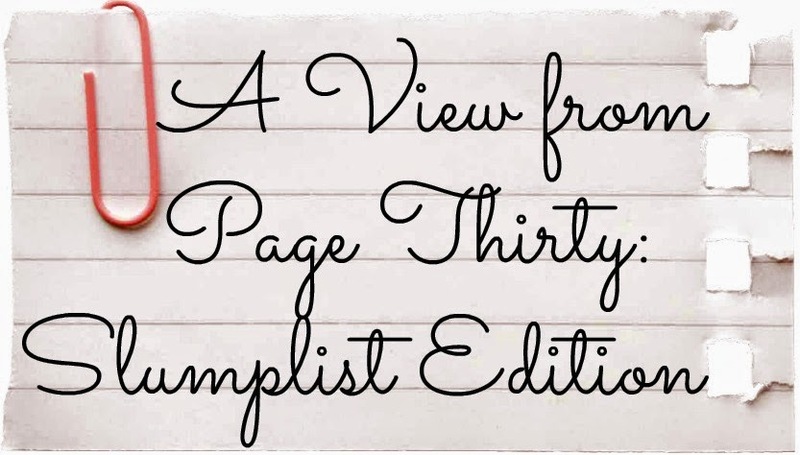 For those of you not familiar with this, A View from Page Thirty is a feature where I read thirty or so pages into a book and give you guys my first impression. Some books are great out of the gate, some take a little bit of warming up to. Some are just books that you know right away are going to be tough to read. My general rule with books is that if I am not interested at all by around page thirty, I don't have to go on. There are too many books in this world for me to waste my time on something that I don't enjoy. But every book I start (barring some rare cases) get's thirty pages. Hence was born A View from Page Thirty. I am going to go into detail on what happens in the first thirty pages. While it is nothing that isn't in the summary, if you consider that spoiler territory, jump down to my Final Verdict. The book starts off with a first line that is quite intriguing, "The first thing you find out when yer dog learns to talk is that dogs don't got nothing much to say." From that I have learned that this is some sort of alternate Earth where dogs can talk I guess, and that this is going to be a book with annoying first person misspelled like the person thinks narration. Surprisingly both the first person and the 'yers' and 'thrus' stopped annoying me almost immediately because the story starts off right away. Our narrator is Todd, the youngest boy in a city of men on the verge of becoming a man himself (he's 13 turning 14 in our years. Years in this world at 13 months so he keeps mentioning his 13th birthday, but I stopped and did the math). Todd explains through these 31 pages (first three chapters) that this is a new world of some kind where women and men went to colonize for maybe religious freedom (?). But once they arrived they got into a war with some sort of native people they call the Spackle who release some sort of chemical weapon that killed all the women. Todd was the last baby to be born before the women died. "But all Ben says is, 'Oh, my God," real quite like, and then he says it again, 'Oh, my God," and then, without even moving or looking away, he says, "We have to get you outta here. we have to get you outta here right now." I was unsure of the narration, with the colloquial speech patterns in the writing, but that grew on me quickly. I guess I am still unsure of my narrator Todd. Will I be able to connect with the 13 year old boy who is coming of age? I had a hard time of doing that when I read The Outsiders in my twenties (I loved it when I read it at 13 though). This isn't going to deter me from reading on though. I am very interested in this story. What a fantastic blog idea! This really helped me out, as 'The Knife Of Never Letting Go' is literally staring at me from the bedside table at the moment - and as of yet, I have not had the willpower or time to start the weighty looking book! I know might have to give it a go! I do love your slumplist! However, as much as I love dystopian, as much as I love dark stories, this book literally gave me bad dreams and left me depressed. I got though over 75% when I finally put the book down. Which is weird, because it does have great pace, and so many people love this series. I'm not sure why this book left me so sad,(well, I know part of the reason) but I just couldn't continue. I can't wait to see more of your slumplist, happy reading, Lori! I just finished this book and loved it. You must absolutely keep reading! I love the idea of a slumplist! What a great idea. You'll have to share it with us. I read this last month and it had me completely hooked on the story. I'm half way through the second one now. I actually like the narration, because it's a little insight into how they would sound. The slumplist is a great idea! :) Great way to find the books that actually hook you, rather than slowly trudging through the ones that don't. Totally loved this book, as well as the other two in the series. I did a combo of reading it and listening to the audio version, which was very well done. In fact, I think hearing the audio helped me comprehend the "noise" aspect of the whole book. Keep reading - it's so worth it. Truly one of the best YA trilogies I've ever read. I've been looking at this series for a while now and hearing a lot about it, and I'm officially intrigued. This one's definitely going on the tbr list. And the slumplist sounds fantastic, pleasepleaseplease share it! Sounds like such a good idea for getting back into the habit. What's funny about this book is that I read maybe the first few sentences and put it down. I didn't like the style at all and when you know, you know, right? I should probably give it another chance though since it sounds like you're enjoying it! Hahaha! Oh my gosh, I LOVE A View from Page Thirty! 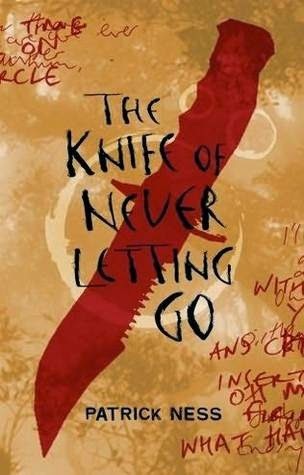 Especially since I love The Knife of Never Letting Go and that series SO MUCH! You've just convinced me to go and reread it AND BUY IT! That is one piece of AWESOME like no other!